Spelling is a crucial skill which helps juniors with both their reading and writing skills. After learning to read sight words and phonics, spelling is the next logical topic for early readers to learn. While I have reviewed several great apps for learning sight words and phonics in the past, today is the first time I’m recommend a spelling app. 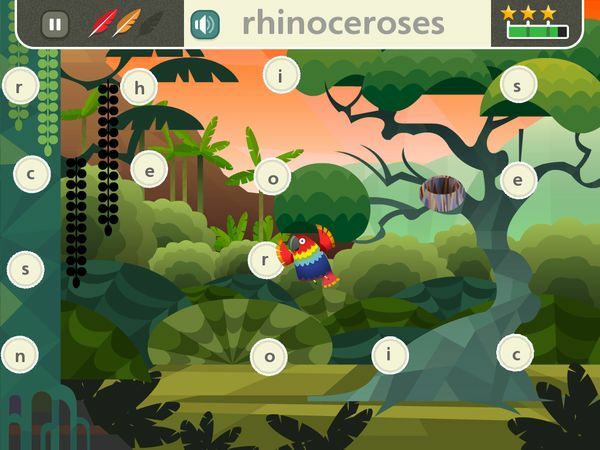 Called Spell with Pip, this is the latest iPad-only app from Oxford University Press that aims to help juniors ages 4-8 practice their spelling skills. The app uses an arcade-style gameplay where juniors are asked to connect letters to form words. One of the first things that juniors will learn in this app is how to play the game. Each level may have 3-6 words that players need to form. 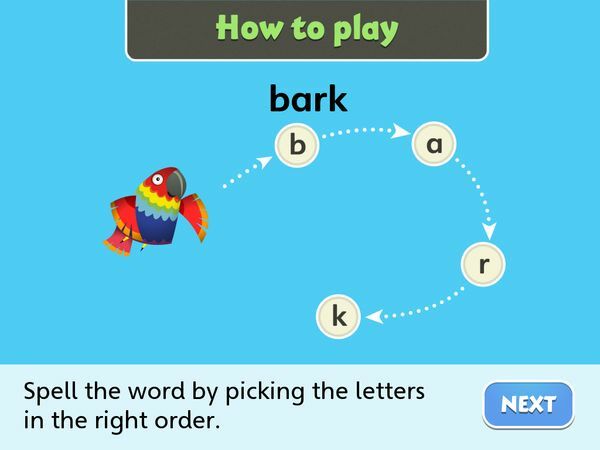 Using a technique similar to connect-the-dots puzzles, juniors are asked to drag Pip the Parrot to connect the letters to form the word in question. What makes this game challenging is the fact that each letter is placed inside an air bubble that floats around, each moving in different direction and at different speed too. Not only do you need to drag Pip around to collect the letters in the correct sequence, but you also need to avoid accidentally collecting the other letters. Each time you collect an incorrect letter, a feather is taken out from Pip. Players can only lose a maximum of three feathers, otherwise the level must be restarted. If a player manages to complete the number of words as required by the level, a new level will be unlocked. The players will receive either one, two, or three stars depending on the time it takes them to complete the level. In total, there are 18 levels of gameplay with six different world backgrounds that players need to complete in order to help Pip get back to his home in the jungle. The difficulty level will increase as the level progresses. For example, earlier levels may feature shorter words without any unnecessary letters, whereas advanced levels may feature longer words without any duplicate letters while throwing in unused letters in the mix. The game is really fun to play with. Both my sons don’t even notice that they are practicing their spelling skills. Kids are told how a word is pronounced at the start of the game, and which letter to find next. They are expected to use their hand-eye coordination skills to find and track the moving bubbles. The game can be played without turning on the music and sound. I’d recommend turning off the music, but keeping the sound. The narrator will pronounce each word as it appears in the challenge, so it’s useful to keep the sound on. Finally, Spell with Pip supports multiple user profiles which makes it perfect for families with multiple children, or for classroom usage. Pip the Parrot is developed based on the latest research from the team behind Oxford First Dictionary for kids. The game features 3,000 words that have been carefully selected to represent the words that kids commonly find hard to spell. As you solve a word, that word will be unlocked from the main dictionary, and added to your in-app dictionary. Each word in the dictionary includes a brief description that suits juniors as its intended audience. Based on my experience unlocking all 18 levels, 3,000 words is a huge database. So far, I have only unlocked 260 words (less than 9%). By allowing juniors to play again and again, the game’s lifetime value increases as kids are introduced to new words and their private dictionaries filled. With multiple user profiles, students can even compare their dictionaries with each other, which increases their motivation to explore and repeat play sessions. Spell with Pip is a really fun spelling game for kids. My four-year-old Philip and I had a lot of fun playing it. Even my two-year-old Noah has started to learn how to spell by pronouncing the next letter that I’m supposed to be looking for. With 3,000 words in its dictionary, Spell with Pip is going to have a relatively permanent spot on my iPads. I’m sure that my sons and I will learn a whole new set of vocabularies from this app.